A princess who dreams of becoming an astronaut is at the centre of an ‘exciting and interactive’ FREE theatre performance taking place at Tamworth Library next week. A unique classic blues band and an acoustic guitar player are rounding off a musical summer of entertainment from the Castle Grounds Bandstand during the final two weekends in August. The popular We Love Tamworth extravaganza returns to the Castle Grounds in less than one month, bringing with it a jam-packed day of activities for the whole family and celebrates some of Tamworth’s rich heritage. Tamworth Jazz, Blues, Country, Folk and Roots will be entertaining audiences this Saturday, August 11 with their swing band musical mixture at the Castle Grounds Bandstand. People looking for a new fitness challenge have enjoyed the first session of an exciting new programme of FREE Zumba at Tamworth Tennis Courts. Tamworth Borough Council’s hot programme of summer entertainment continues for a packed weekend of music and movies in Tamworth Castle Grounds. 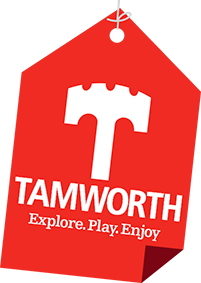 There’s plenty to keep families entertained in Tamworth during the summer holidays, from castle living history and outdoor cinema, to live music, free activities and sports. People looking for a new fitness challenge are being invited to take part in a new exciting programme of FREE Zumba sessions this summer. If you enjoyed or missed the Saxons at Tamworth Castle last week during the Aethelfest, then visit the castle between July 24 and July 26 when history comes alive again with the popular Saxon Living History event.